The Royal Enfield Interceptor 650 is all about bringing simplicity and fun back to modern day motorcycling. 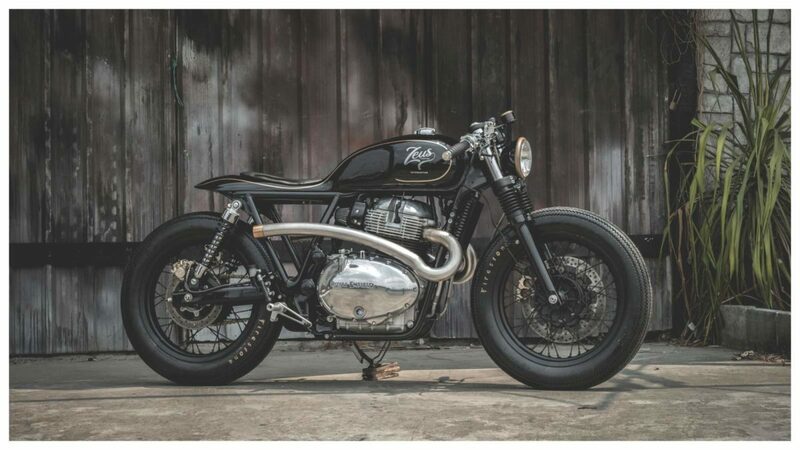 Amplifying it further is the custom cafe racer by Zeus Customs. Called the Prime project, the team only had 45 days before their transformation could take shape and stand under the spotlights at the Bangkok Motor Show 2019. 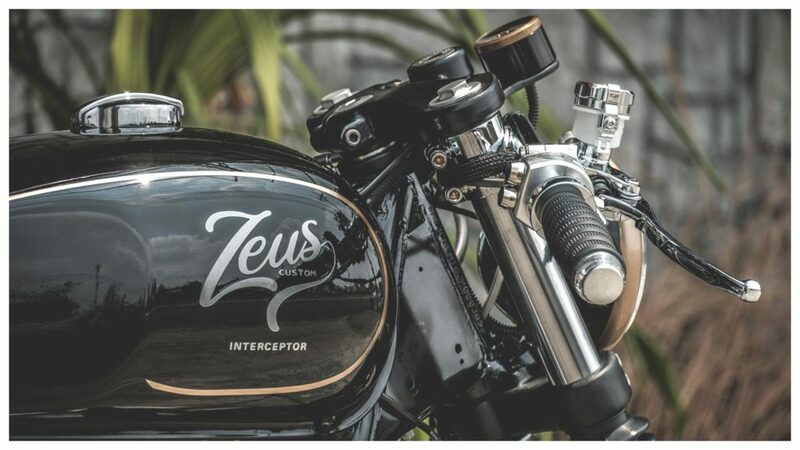 Zeus Custom had to choose which model they wanted to modify and display at the Motor Show between the Interceptor 650 and Continental GT and the picked the former. In the workshop, they had divided the main room into 2 rooms, one room was kept for general customer projects, while the other room was closed, for Royal Enfield’s Interceptor 650 Prime project. What changed? The tank of the bike is now different from the original and looks elegantly classy with those gold highlights which extend till the rear fender. The differently bent metal for the twin exhaust pipes looks the part and if you’ve noticed, the pegs have been moved rearwards. The identity of the Royal Enfield stays intact as the bike retains its original mechanical features with minor changes to boost performance. The Interceptor 650 still has its old air/oil-cooled 648cc parallel-twin engine but it now gets a performance air filter which helps the bike produce a little more than 47 HP and 52 Nm of torque. The bike also retains its 6-speed transmission. The bike is equipped with stainless steel clamps which latch on to the forks along with a set of aluminium switches which enhance the classic look of this project. The headlight is scaled down from the original to just 5.5 inches. The wheels get matte black spokes and flat-track tyres. The turn indicators have also been upgraded to a better and brighter set of lights. 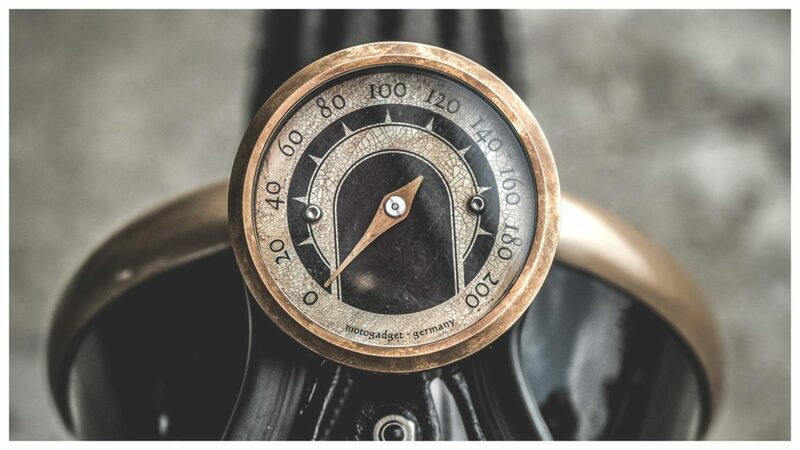 But the most interesting part has to be the explorer-style, compass-like speedometer, which makes you want to stare it at for no reason. Overall, it’s all about the beauty of simplicity.